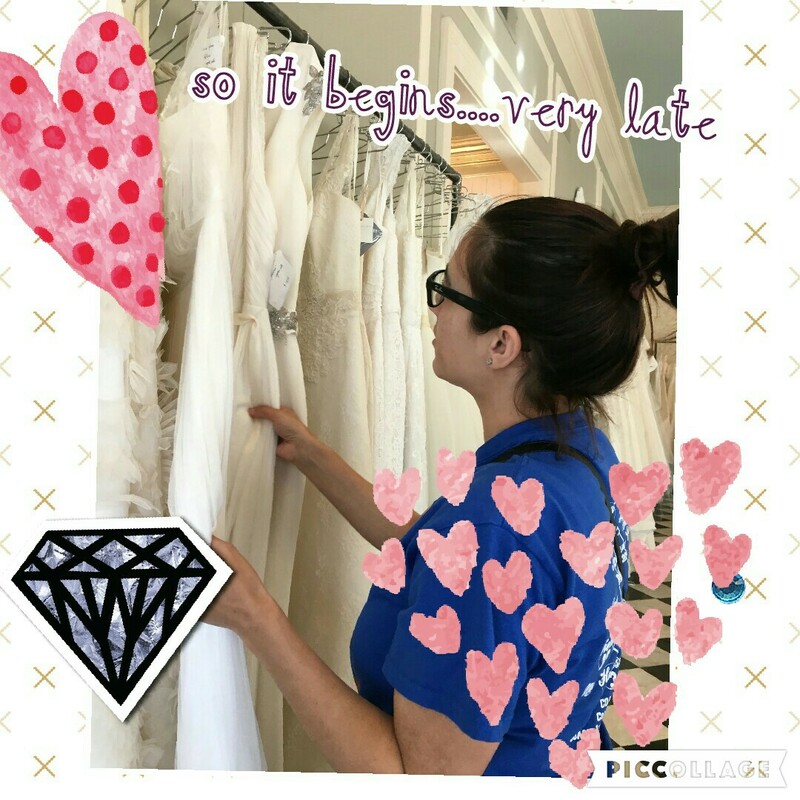 So, I’ll admit that I guess I’m a tad late on the whole wedding dress shopping thing. This wedding is happening soon (like in 4 months) and I do not have a dress. I only just recently picked my colors. I finally decided to browse some wedding boutiques in the same area with my friend Lorey. We walked up and down the street, checking out some fancy dress shops. Three strikes and I was pretty much out. Strike One: The first shop only takes appointments. Okay, bye. Strike Two: We accept walk ins and you can browse but our showroom is closed right now and we have a private appointment. I lingered for a minute and checked out some dresses hanging on the rack. $5,500. $3,700. Yikes. That’s like a Destin vacation. I honestly don’t know anything about weddings, but to me that’s a lot of money for a dress I’ll wear once. And not even for the whole day. “Jamie,” Lorey whispered, reminding me of the private appointment I was interrupting. Whoops, guess it’s time to go. Strike Three: We accept walk ins, but we have an appointment now. You can look at some of the dresses we have out here and we can set up an appointment. Lorey starts asking questions and I’m in lala land, having zero clue what’s going on. She’s asking things I would never know to ask. Why am I here again? “Can we do March 31?” I asked. “July 9th” She starts entering the info in the computer. “Okay, July 9th, two thousand…..” she waits for me to tell her the year. “Um, now. This year,” I laugh knowing that I’ve officially procrastinated a bit too much. Yikes, I thought to myself. It’s that bad huh? Since I had kids to get, I couldn’t make the after five appointment. I swear, if I don’t get moving on this I’m going to end up looking for any white dress at Forever 21 or something. Somebody say a prayer.